Professor of Surgery(Urology), University of Toronto. Dr. Michael Jewett is a Professor of Surgery(Urology) at the University of Toronto. Dr. Jewett holds 2 academic Chairs, one from the Canadian Institutes of Health Research, and is currently the Farquaharson Clinical Research Chair in Oncology. 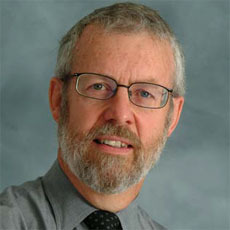 He is chair of the CIHR funded Kidney Cancer Research Network of Canada. He holds peer reviewed funding and has published more that 250 peer reviewed papers. His research is currently focused in kidney cancer and has published extensively in this field as well as in other UroOncology subjects, technology assessment and medical informatics. He has had a career long interest in testicular cancer with multiple papers and involvement in consensus statements. He is the immediate past Chairman and Program Director of the Division of Urology at the University of Toronto and Head of Urology at the University Health Network which incorporates the Princess Margaret Cancer Centre. He is a past president of the Canadian Urology Association. He is a member of the new NCI Renal Task Force. In 2011, he was awarded the AUA Distinguished Contribution Award, the SUO Medal, the CUA Award and the Postgraduate Teaching Award by UofT Urology for best surgical teacher. In 2012, he was among 35 Canadian physicians selected by the Canadian Medical Association to receive the Queen’s Jubilee medal.